If you are overwhelmed by the sheer size of the questions and possible uncertainties that moving process can present, you are not alone. Here are some frequently asked questions that we get asked on a daily basis which can help you make smart decisions for your moving day. HOW DOES THE BINDING PRICE WORK AND WHAT DOES IT INCLUDE? Binding price, as opposed to non-binding price (hourly pricing), is the price of your move based on the amount of inventory, regardless of the amount of time that it takes to complete the job. The binding price is based on the volume or size of your move. When we give you an all-inclusive, guaranteed price we consider the following: Amount of total inventory that is being moved, partial or full packing service required, elevator or flights of stairs, if disassembly/reassembly is required and finally the origin and destination locations. Items such miles, tolls, gas, surcharges and commercial materials are always included. CAN I HAVE SOMEBODY COME AND SEE WHAT WE HAVE? On-site estimates are free of charge and we strongly recommend it if you live in an apartment larger than a studio. This is a perfect opportunity to have a one-on-one with your relocation consultant and tailor your move to your exact requirements. WHAT WILL THE MOVERS PACK? Each and every move is tailored to the needs and budget of our customer. To keep it cost effective you would be expected to pre-pack your dishes, books, CDs, DVDs, linens, pots, pans and all loose items. If you need help packing any of these items, please ask your relocation consultant to price them out for you in advance. Aside from packing your boxes, the following is always included in your binding price and of course if your move requires it: Wrapping/unwrapping of furniture pieces, packing/unpacking of electronics (flat screen TVs get placed in plasma crates), packing of glass table tops, larger pictures, mirrors, lamps and wardrobe boxes get packed and unpacked. All of the commercial materials used to safeguard these items are included in your binding price. That is the proof of insurance that your building might need prior to you moving in or out of the building and it is free. It is very important how much the company is insured for. For instance, if a company is under insured they might not be given access. We maintain five (5) million dollars worth of Umbrella coverage as well as all the state required Disability and Workers Compensation coverage for all of our workers. WHAT IS THE BEST WAY TO CHECK COMPANY’S RECORD AND REPUTATION? Physical location. The lack of any confirmable address is a good sign a moving company is not legitimate. You can pay with any of your major credit cards (Visa and MasterCard), certified check, money order or cash. No personal checks. If paying with credit card the card holder must be present. WHAT KIND OF DISASSEMBLY AND REASSEMBLY DO I HAVE? Basic disassembly and reassembly is included. By that we mean your bed’s headboard and footboard or legs of your dining table. If you move requires more advanced disassembly and reassembly of items such as armoires, entertainment units, sofas or wall units an additional cost will apply. Please make sure that you inform your relocation consultant of any such service required as we most likely would need to view the items in question. We are fully insured and licensed. Our licenses are USDOT 1459999 ICC MC 551548 and NYDOT T 36787. Your move includes minimum insurance coverage which is $.60 per pound per article. If you would like to purchase additional coverage for your move that is also available to you and you would be covered for the Depreciated Value in case of loss or damage. The shipper must declare the value of the entire shipment. The minimum value that the shipper can declare is $5,000.00. This declared value must be covering the entire shipment and not for any one item. You must purchase enough coverage to insure the total value of your shipment. If you undervalue the shipment you would be subject to coinsurance penalty. For instance, if you purchase only $5,000 coverage and the value of your shipment is $15,000 the policy is only responsible for 30%. With regards to antiques, there is no appreciation or loss of value coverage for antiques and these items will be subject to standard depreciation. Extraordinary value items (more than $100.00 per pound per article) must be brought up to the foreman’s attention and written in as such. In the event that an item of extraordinary value becomes a part of the shipment without written knowledge, the company will not be responsible for its actual value. Money, jewelry, securities, etc. : The movers will not carry, store or be liable in any way for any documents, accounts, bills, bullion, currency, notes, securities, evidence of debt, precious stones, jewelry, money, coins, stamps or other similar valuables. Please remove these items and arrange to take them with you. If these items are in your shipment, we will not be responsible or liable for them. Please ask your relocation consultant for more details. Company is not responsible for items wrapped or packed by owner (PBO). Contents of boxes packed by owner will not be covered in case of damage (regardless of valuation chosen). If you have chosen to pack your own boxes, please be advised that we do not know what contents are contained therein. Company is not responsible for the mechanical condition of electronic items unless insured as such. Pairs and Sets: The policy covers only the cost or repair of an individual item damaged not a pair or a set. Furnishings constructed of particle board or pressboard (i.e. closets, tables, etc, IKEA furniture), once assembled are easily damaged when moved regardless of the care taken by the movers. We caution customers against moving such items. It is our experience that the mere act of disassembling the above items causes damage to the items. As such, we cannot be responsible for damage to these items if moved. CAN I JUST HAVE MOVAGE MOVERS PACK MY CHINA? Of course you can. You can customize your move any way you like. We are here to offer you a binding price that is exactly tailored to your specific needs and budget. We always have your bottom line in mind; therefore, feel free to tell us exactly what type of move you would like to have. CAN I LEAVE MY CLOTHING INSIDE CHESTS OR DRESSERS? Lightweight clothing such as sweaters, shirts, blouses and lingerie may be left in the drawers. Make sure you don’t fill the drawers with heavier items such as books or linens because added weight can compromise the structure of the piece. 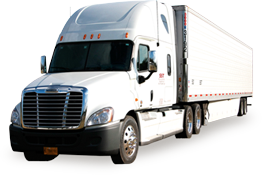 Also important are the quality and the type of material of the item that you are moving. If you are still not sure what to do, ask your relocation consultant. Tips are solely based on your level of satisfaction with our service. Movers are strictly forbidden to ask for a tip but it is always appreciated. Industry recommends 15%-20% of the overall cost of the move, but there is no obligation.